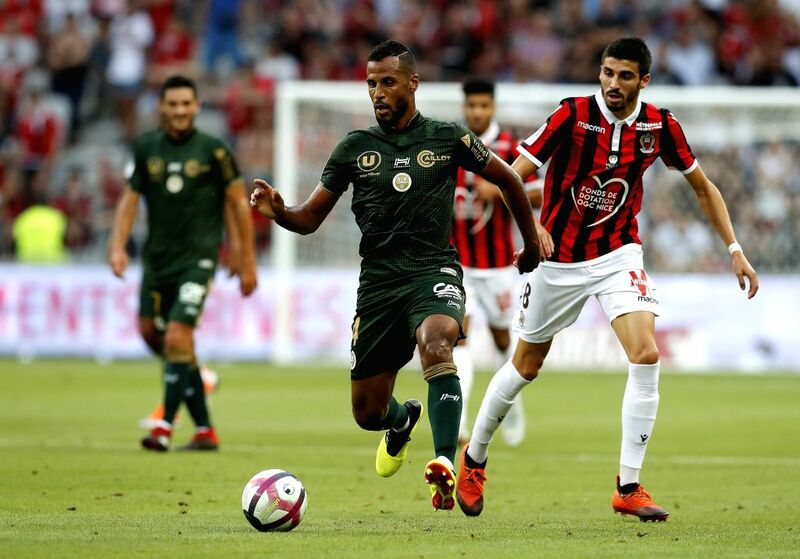 NICE, Aug. 12, 2018 - Alaixys Romao (C) of Reims vies with Pierre Lees-Melou (R) of Rice during the French Ligue 1 football match 2018-19 season 1st round in Nice, France on Aug. 11, 2018. Reims won 1-0. 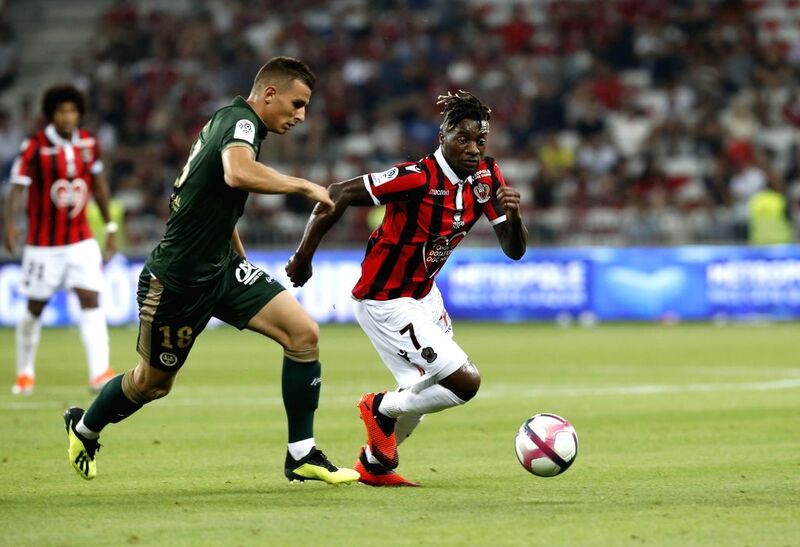 Allan Saint-Maximin (R) of Nice vies with Marvin Martin of Reims during the French Ligue 1 football match 2018-19 season 1st round in Nice, France on Aug. 11, 2018. Reims won 1-0. 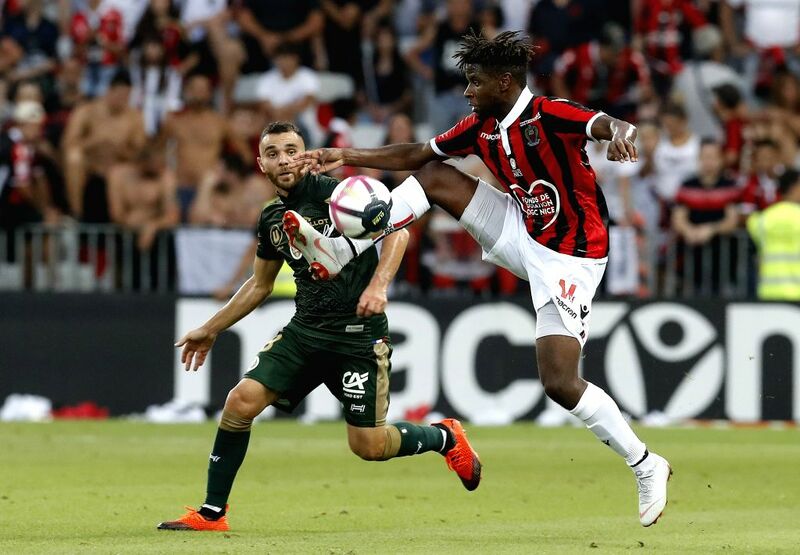 Dante (top R) of Nice vies with Pablo Chavarria (top L) of Reims during the French Ligue 1 football match 2018-19 season 1st round in Nice, France on Aug. 11, 2018. 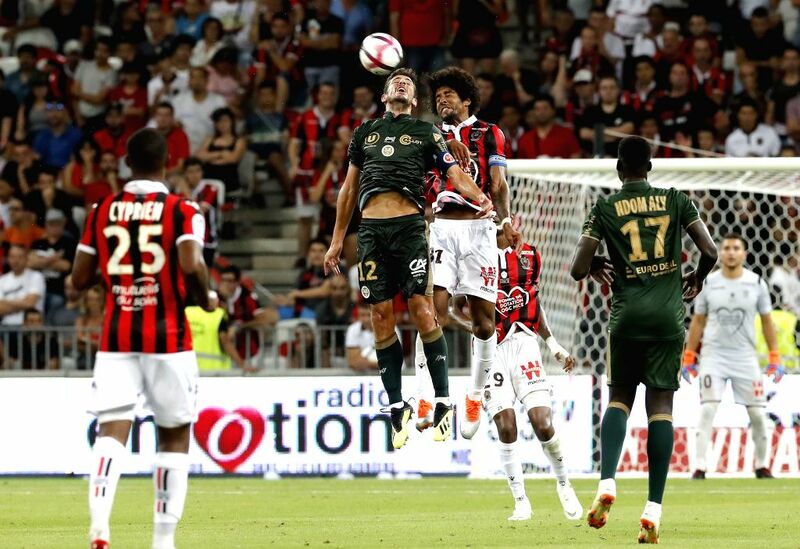 Reims won 1-0.